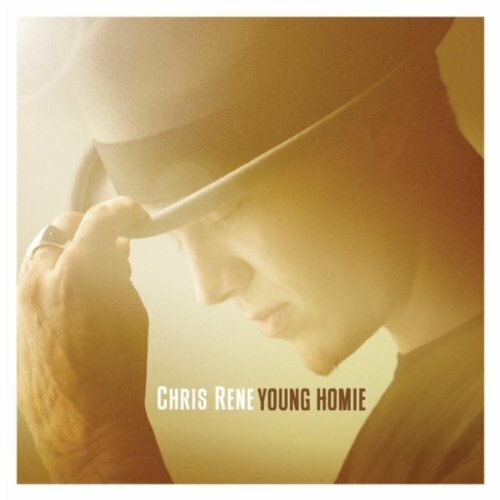 Chris Rene was the third place finisher on The X Factor last season and the unequivocal “fan favorite” since his very first audition where he performed an original song, “Young Homie.” That’s not only a risky move but, relatively unheard of in these singing competition shows, a risky move that garnered his audition clip 13 million views on YouTube and a loyal following of people from all walks of life, age groups, and backgrounds. Some have an addiction story similar to Rene’s, or know someone who does, if that doesn’t connect you to this young father of two then his blue collar paycheck-to-paycheck trash hauling job might be something you can relate to. It could also be his positive lyrics, message and the way he simply lives his life now. “Love Life” is his motto and legions of loyal Renaliens have adopted this as their battle cry, grafitti’ing it on any smooth surface they come across, even permanently etching it into their skin. No matter what your connection to this up and coming singer is, chances are if you’re reading this you have one. Last week saw the official release of his “Young Homie” single for Epic Records through iTunes, and this week we got his official first video shot entirely in his hometown of Santa Cruz, California. Where “Young Homie” the song is a love letter from Chris to not only himself but, everyone who’s struggling with the plethora of doubts and demons we’re plagued with the video is a love letter to his beloved city. Chris himself has said of the video it’s basically what a great day in Santa Cruz would be like, it starts off with shots of Chris at various locales in SC including the Janus rehab facility he reported to directly after the almost fatal car accident that spurred him into getting his life together. There were at least three separate moments at the beginning of this video I wasn’t sure it was him singing, without his signature hat and with his new capped teeth I really had to rewind and double check that it was actually him. His teeth weren’t even “bad” looking to begin with so unless there were just unhealthy I am a little saddened he succumbed to this Hollywood treatment. The footage continues with Chris and his real life “homies” walking a path under some majestic, gorgeous pine trees you’ll only find in glorious Northern California. From there we see Chris on a bluff overlooking the clear (and cold) Pacific Ocean with some panning shots of the famous Santa Cruz Boardwalk and the old-fashioned rollercoaster. The video also shows us shots of neighborhood streets where we can only guess Chris ran wild, rode bikes and skateboarded with his brothers and friends as a kid. As he walks the streets he passes shop windows and we see a crude “Love Life” sign made with stickers in a store window, and this is the theme of not only the song but the video as well as it’s shown on railroad tracks and various locals are shown throwing the “LL” signs. I love that this shot is directly when the line “If you want to build your love up, put your hate down” plays. The second half of the video shows the day winding down, sun is creeping back behind the mountains and there’s a gathering of Chris’ loved one’s at the skate park. We see his sons, sister, various nieces and nephews and longtime friends. A friend who worked the video shoot told me the entire vibe surrounding Chris was “surreally positive” and even if you didn’t know who he was, you’d walk away from him with the feeling he was somebody special and probably important. That is the entire message I took away from this video: be good to yourself and each other, and always surround yourself with friends and family that bring out the best in you. In a nutshell: Love Life. Check out the video below and let me know what you think.